Rooted in principles of positive psychology, financial coaching helps clients establish goals and define action-oriented steps to achieve those goals. Working with our clients one-on-one, we employ strategies to build savings, reduce financial transaction costs, improve credit, and reduce debt. Mutual accountability, support and follow up are central components of this program, enabling clients to discover and implement positive behavioral changes and self-sufficiency. CREDIT COUNSELING AND FINANCIAL ADVISING? 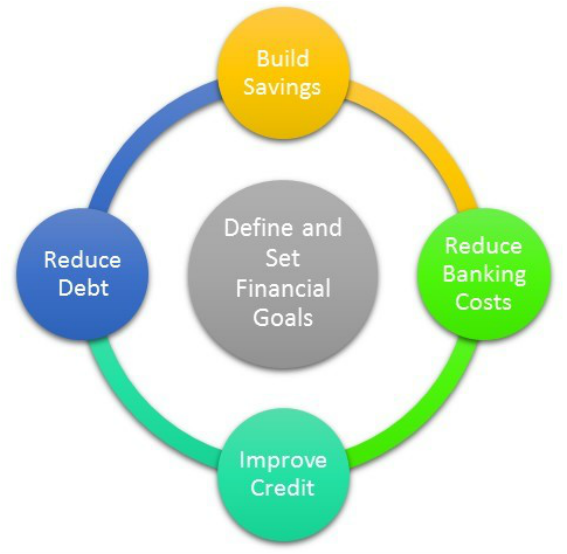 Financial services like credit counseling and financial advising tend to be prescriptive in nature, and typically are used to solve a specific issue, often in one session. Financial coaching takes place over several sessions and aims to incorporate active listening and carefully directed questions to help customers self-reflect, leading to financial behavior change. *Represents average of 200+ clients participating in a financial coaching program offered by The Financial Clinic, NYC. Averages are based on clients that achieved one or more "action-driven" goals, i.e., consistent savings, reduced banking transaction costs, improved credit score, or decreased debt. Outcomes are averaged over two or more years.